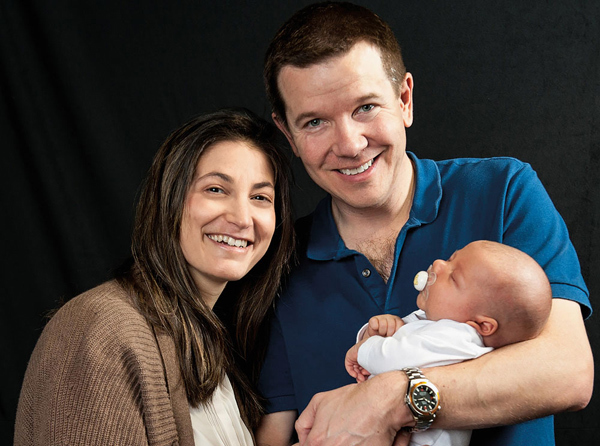 Michael Wright and Rachael Lester happily welcomed the birth of Austin Jacob on March 10, 2015, in their new home in Burlingame, California. AJ weighed 8 pounds and was 20 inches long. Rachael recently took on a new role as vice mresident, marketing at Bruin Biometrics. Michael works for Forward Management, where he runs the global infrastructure fund. Karianne Gomez and her husband, Joe, are happy to announce that Abigail Rose Gomez was born on September 2, 2014. They are simply thrilled to be parents and are enjoying time with their daughter.